This report is about the many stages in restoring historic decorative plasterwork. It is also about what an international group of students learned through their working experience at Voltveti Manor, lectures and excursions in southern Estonia. 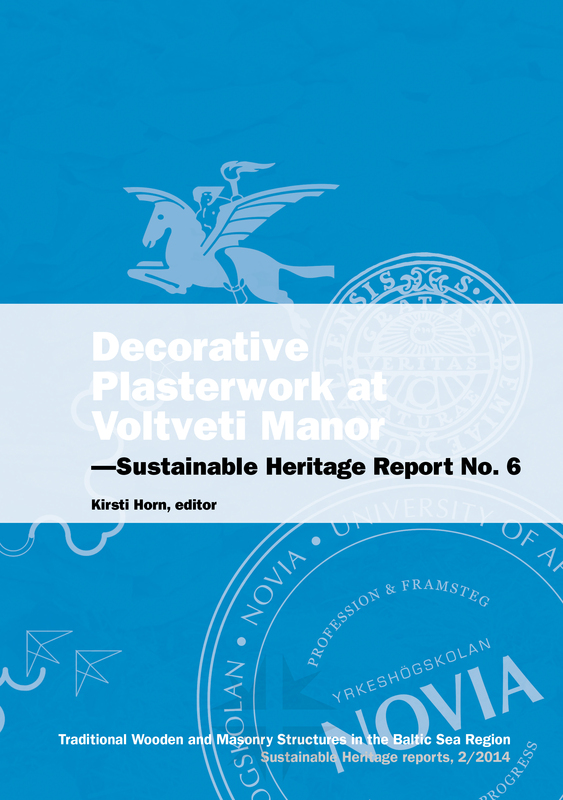 This report is about interior decorative plasterwork of the past centuries and about the restoration work performed at Voltveti manor in Estonia (figure P1). It is not about straightening masonry walls or giving façades a distinct style but instead, of the delicate architectural decorations that can be found inside palaces, manor houses and churches of the past centuries. The report is largely based on what was learnt during the intensive course. The results of this are two: obviously the reported learning, but also the fact that this was another small step towards the rescue of an historic interior of notable character and detail. Several aspects of decorative plasterwork are dealt with. These have been divided into two sections, namely Part 1 which gives general background information concerning the material and its use over the times, and Part 2 describing the most interesting practical restoration work that was performed during the intensive course at Voltveti manor. The step by step photographic documentation illustrates the performed work in a fascinating way. The excellent cooperation between the involved universities, namely Estonian Academy of Arts, Uppsala University and Novia University of Applied Sciences has once again given their students a wonderful opportunity to learn about the architecture of the past and the way it should be restored and maintained. All participating students have contributed to this report with text and photographs.